Measuring performance is crucial to a successful field service organization. Key performance indicators (KPIs) help competitive service organizations measure progress and improvement over time. Having the right data in hand empowers service personnel to make informed decisions that lead to increased customer satisfaction and lower operating costs. 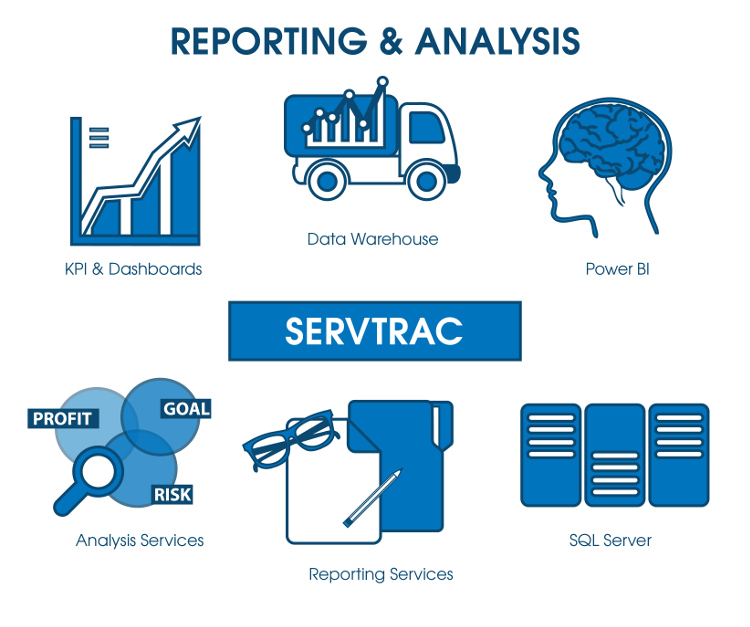 SERVTRAC® is built on the Microsoft® SQL Server® foundation, an enterprise-class database that is scalable and reliable to meet the most stringent analytics demands. 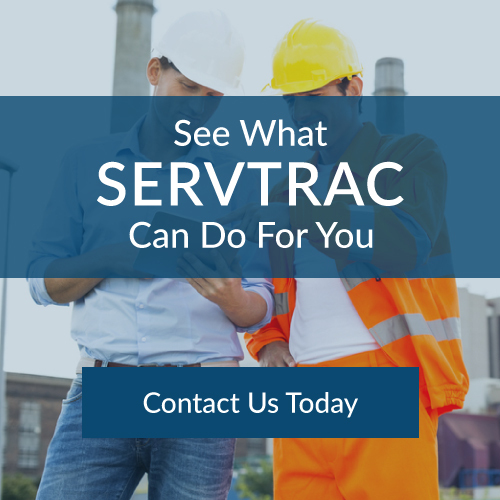 Leveraging the Microsoft technologies, SERVTRAC® offers a dynamic reporting environment with high performance, availability, and security, alongside a low total cost of ownership. SERVTRAC® and SQL Server® deliver data insights to all audiences. Analyze data and deliver dashboards and interactive reports across the organization to any device using Power BI. Deliver modern, interactive reports to a web browser or email using SQL Server™ Reporting Services.